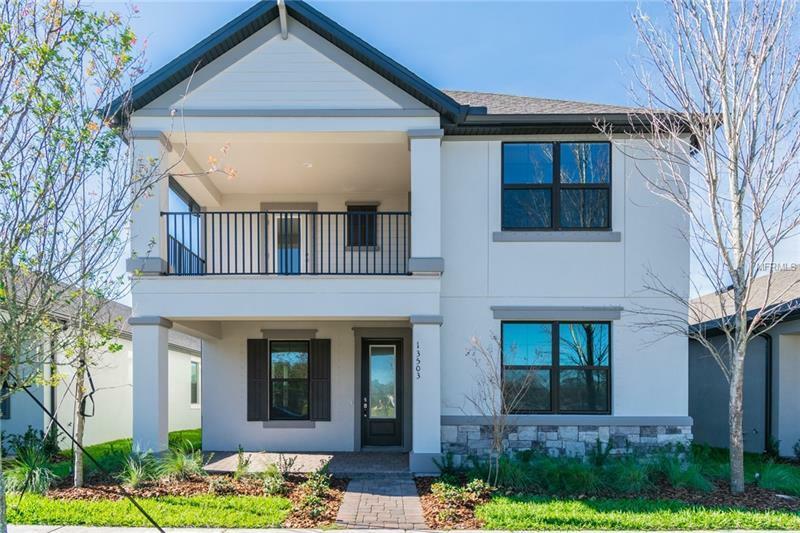 This home has incredible curb appeal and features both a front porch and 2nd story balcony to welcome you to your new home. As you enter into the foyer you are welcomed by the elegant dining room on the side glistening in the natural light that comes in through the windows. On the opposite side take a couple of minutes in the den to relax and decompress from the day's activities. Heading past the dining room you will find the family room conveniently located within just a couple feet from the dining room and kitchen, making this the focal point of the first floor. Plus, from the family room you have easy access through the sliding glass doors out to the lanai, so you can enjoy a breath of fresh air when you need it. Heading upstairs, the second floor is just as impressive as the first floor, featuring a bonus room great to use as your movie night room, or to just spend some time with the family. Two bedrooms are located next to each other in the corner. On the opposite side of the home you will find the very spacious master bedroom, also known as your oasis.